Our hero is five year-old Miles, a boy battling leukemia. Off and on we hear wonderful stories of how the Make-A-Wish Foundation provides amazing experiences for children with serious and life-threatening health issues. 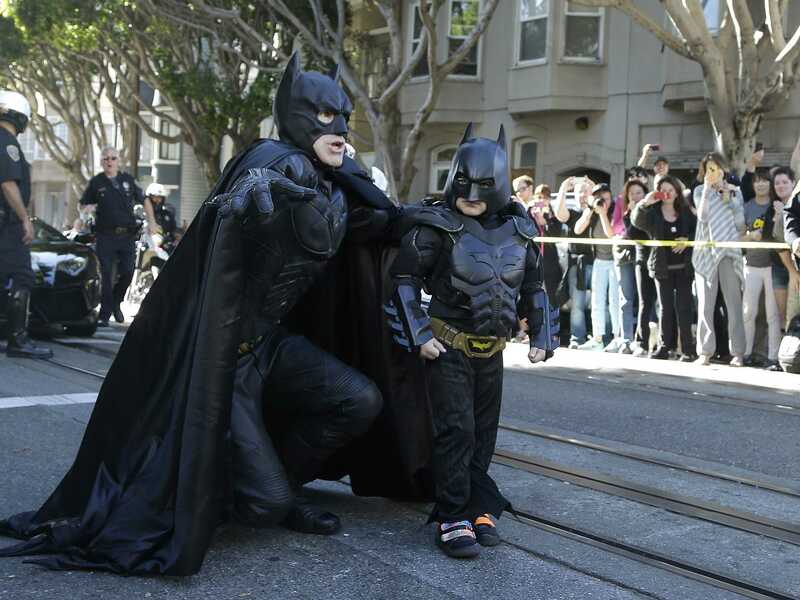 The wish of Miles, a boy from Northern California, was to be Batman for a day. As such the nearest large city, San Francisco, became “Gotham by the Bay”. My seat for the day was in front of my Twitter feed while at work (this is why we have two monitors). 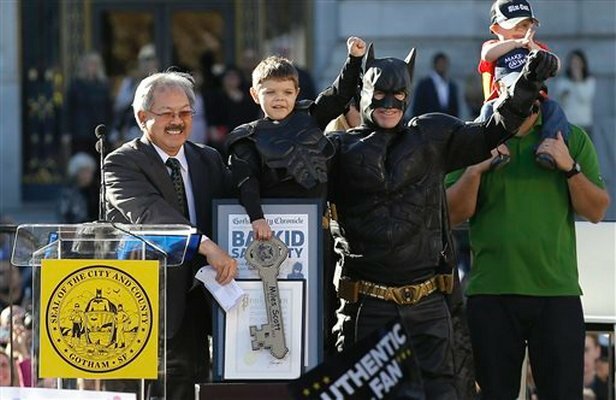 It was a truly amazing and even emotional experience to read and watch updates following #SFBatKid. People really came together strong in support for Miles (A.K.A. Batkid). For me the story of the day is just that, how people came together to support one in need and along the way how we remembered to look out for each other, step in and help each other, and hold someone up tall when they need it most. Our children believe in wonder and the power of heroes. Over time, belief fades and power is no longer held by heroes. Let us help our children hold onto their sense of wonder and understand that true heroes can exist. Funny, it took a child to remind us all. It is a great story. Yep, I needed to pass it along. Thanks for the visit and reblog. All the best success to you. My pleasure Michael! Thanks for sharing, Just an incredible story of community coming together.